Sudan and the Palestinian group Hamas have pledged to support each other after an alleged Israeli attack on a military factory in Khartoum. The attack on Yarmouk ammunition factory on 24 October raised tension between Khartoum and Tel Aviv. The former accused Israel of the attack and the latter termed Sudan as supporter of terrorism without acknowledging its responsibility for the attack. Khaled Meshaal, Hamas exiled leader attended the 8th conference of Sudanese Islamic Movement held in Khartoum while his group is fighting against the Israeli army amid international calls to decrease the tension there but there is no sign of abating. Speaking at the mosque of the Sudanese army in Khartoum on Friday, Meshaal told worshippers that his movement would avenge the attack on the military factory, adding “you would hear good news soon”. Meshaal praised the great preparations of Hamas youth against Israel saying their rockets surprised the Israelis when they reached Tel Aviv. Some 48 people were killed in Gaza since Wednesday when Israel launched a military operation, “Pillar of Defense” in response to rocket attacks carried out by Hamas. From the Israeli side, at least three people were killed by the Palestinian shells. Tunisian Islamist Rashid Ghannouchi, head of Ennahdah or Renaissance Party last Friday called on the Arab and Islamic countries to united their ranks to face “the conspiracies hatched against the Islamic Nation”. During a speech in the Martyr mosque in Khartoum, he further reassured the Western World about the Arab Spring revolutions saying “do not fear us”. “We came to liberate ourselves and to establish a cooperation between us, based on what binds us in term of religious, social and intellectual ties”. On Saturday before to wrap up its meetings, the Islamic Movement released a final communiqué of its 8the conference where it reaffirmed its support for the Palestinians’ rights. The Movement “is committed, no matter how great the sacrifices, to its principled position based on the return of the Muslims in Jerusalem and the usurped land of Palestine,” the statement further said. 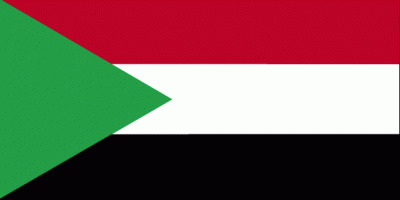 Sudan and Hamas are seen in the Gulf countries, particularly the Saudi Arabia, as the main allies of Iran in the region. The recent visit of Iranian warships to Port Sudan angered the Saudi authorities which consider the Iranian presence in the Red Sea as direct threat to their interests and influence. Israeli airplanes raided three times in the past years the eastern region of Sudan where it targeted alleged convoys carrying Iranian weapons heading to Sinai in Egypt before to be sneaked to Gaza. ammunition factory on 24 October raised tension between Khartoum and Tel Aviv. The former accused Israel of the attack and the latter termed Sudan as supporter of terrorism without acknowledging its responsibility for the attack. Speaking at the mosque of the Sudanese army in Khartoum on Friday, Meshaal told worshipers that his movement would avenge the attack on the military factory, adding “you would hear good news soon”. On Saturday before to wrap up its meetings, the Islamic Movement released a final communiqué of its 8th conference where it reaffirmed its support for the Palestinians’ rights.